Welcome to the Haute Savoie! The entire team is pleased to welcome you and help you discover all the activities on offer around our magnificent lake. Make the most of your stay to enjoy the fresh air and relax! 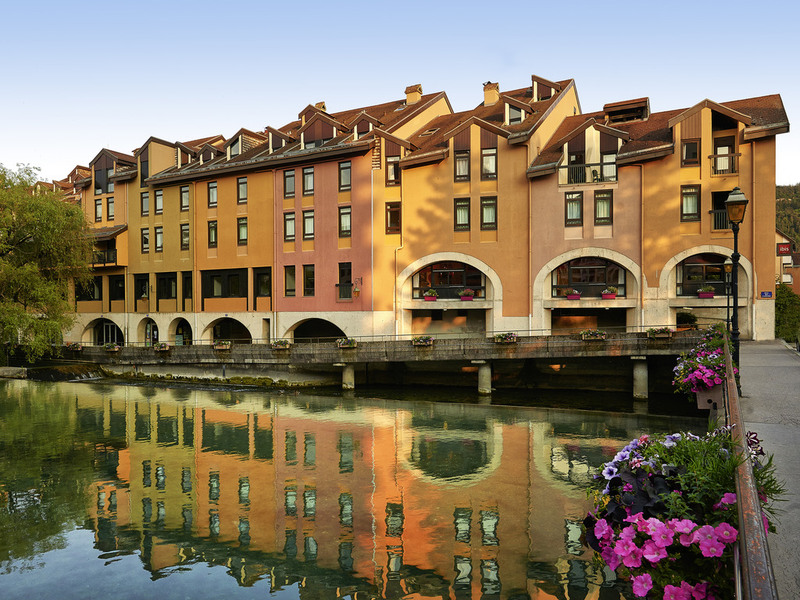 The ibis Annecy Centre Vieille Ville is a 3-star hotel in an ideal location in the heart of the old town?the Venice of the Alps. A 5 minute walk from the TGV train station and Lake Annecy and a 20 minute drive from Semnoz. The hotel, which is 100% non-smo king, offers 85 completely renovated rooms, with air conditioning and free WIFI. The Bar Lounge is open round the clock and serves snacks. The Saint-Claire public car park, paying and secure, is very close by. A 10-minute walk from Lake Annecy. Skiing 45 minutes away, 6.2 miles (10 km) from the Gorges du Fier and the Château de Montrottier. A quiet hotel in the heart of the old town of Annecy. Ideally located for a stroll or bike ride around the lake. Rooms available with a balcony overlooking the river or courtyard.